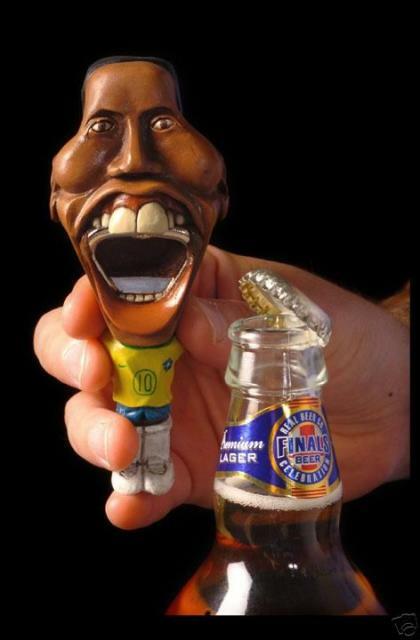 I came across this Ronaldinho bottle opener tonight. Not really sure what the story is behind it. Based on the fact that I can’t find anyplace to buy one and that this one supposedly sold on eBay for 12 grand…I’m assuming it was a custom made original. Drop me a comment if anyone knows anything more about this…I’ve been looking to drop 12k on a bottle opener for some time.